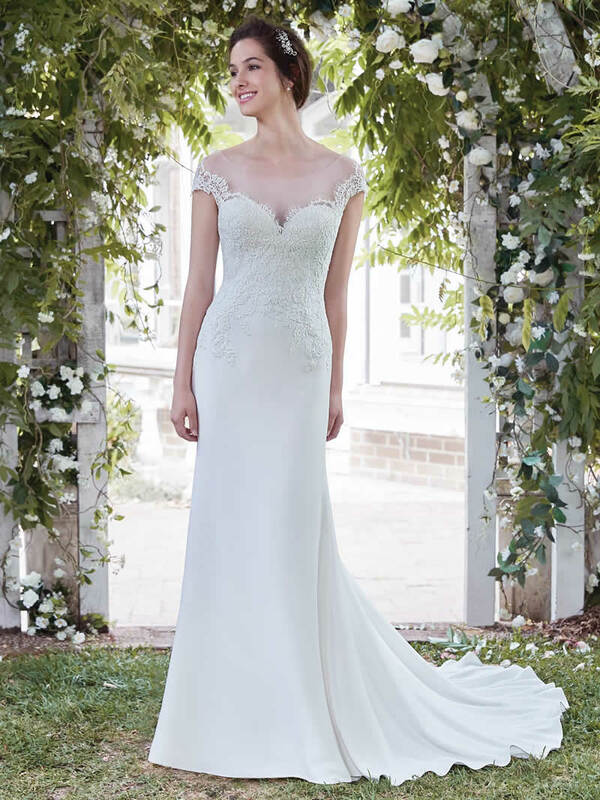 Soft lace adorns the bodice of this elegant wedding gown, with sheer lace comprising the illusion off-the-shoulder sleeves and accenting the sweetheart neckline and illusion scoop back. Sheath silhouette feautres Talin-stretch crepe skirt. Finished with covered buttons over zipper closure.